Completed in 2008, the Harley-Davidson Museum in Milwaukee receives an estimated 300,000 visitors per year to celebrate the company’s over one-hundred-year history. 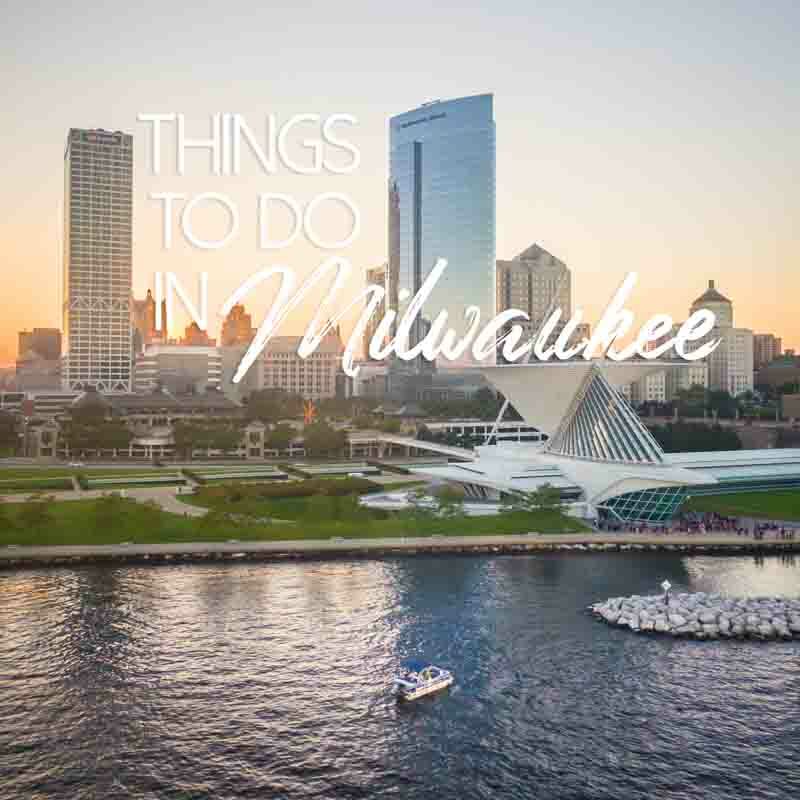 If visiting Milwaukee, plan on spending the good part of the day at the Harley-Davidson Museum since there are plenty of exhibits to enjoy and finding good food on site couldn’t be easier. Getting to the museum is also very easy – the museum is located at 400 W. Canal St. just off the 6th St. viaduct, making it an easy drive or short taxi ride from downtown Milwaukee. Here are a few additional details of what to expect when visiting the museum. There are six permanent exhibits at the Harley Museum mostly comprised of materials stored in the Harley-Davidson archives. Two of the exhibits are dedicated to telling the long history of one of America’s, if not the world’s, most cherished motorcycle companies. Next, visit the exhibits on custom bike culture to see how fans around the world have modified their motorcycles or the exhibit at clubs and bike competitions. If you enjoy the mechanical-side of motorcycles, make sure you check out the exhibit dedicated to Harley engines. Last but certainly not least, check out the final exhibit featuring a massive gallery of Harley-Davidson motorcycles. Before visiting the museum, make sure you check out their website to find what special rotating exhibits currently are being featured. Past exhibits have included galleries of Harley-Davidson photography, explorations into the history of motorcycle drag racing, and insights into biker clothing throughout the decades. Most exhibits will provide audio tours upon request, or you can book ahead for special behind-the-scenes tours at an additional cost. Plan on giving yourself a few hours to fully enjoy the exhibits and plan your visit around either lunch or dinner to enjoy the onsite restaurant. While most museums offer low-quality fare, the Harley-Davidson Museum boasts a fantastic restaurant that in fact serves as a destination by itself. Motor offers an eclectic menu of American favorites, including top-notch barbeque. Appetizers range from $8.95 to $11.95. Try the fried pickles ($8.95) or the fried chicken wings with your choice of sauce ($10.95). The menu also features soups, salads, and assorted stuffed potatoes ($6.95-$9.95), and burgers and sandwiches. However, don’t let your skepticism get in the way of trying the barbeque. There are certainly the best barbeque joints in Milwaukee, but Motor serves up some authentically smoked meats that can rival the best of them. Try the brisket plate, which comes with fries, coleslaw, and cornbread for $13.95, and don’t leave without trying one of the tempting dessert options. The Harley-Davidson Museum is open for 363 days per year. The hours vary based on the season, May through September hours are 9:00 am through 6:00 pm, with the exception of Thursday when they close at 8:00 pm. October through April hours are 10:00 am through 6:00 pm, again with extended hours on Thursdays. Beyond the exhibits and food, make sure you also check out the extensive store for clothing and other merchandise. Also, be aware that the museum offers numerous rentable spaces for all sorts of special events, both indoors and outdoors. If you live in or near Milwaukee and need an ideal location for a wedding reception, corporate gathering, or even a private birthday party, the museum accommodates all sorts of events at a range of prices. Harley-Davidson Museum entrance fee is $20 for adults, $10 for children, and children under five are free. There are also discounted rates for seniors, members of the military, and for students (valid I.D. necessary). Audio tours are an additional $4 and are available in a variety of languages.